The Géosonic Mix Normandie Impressionniste project proposes an immersion in a soundscape in constant construction. 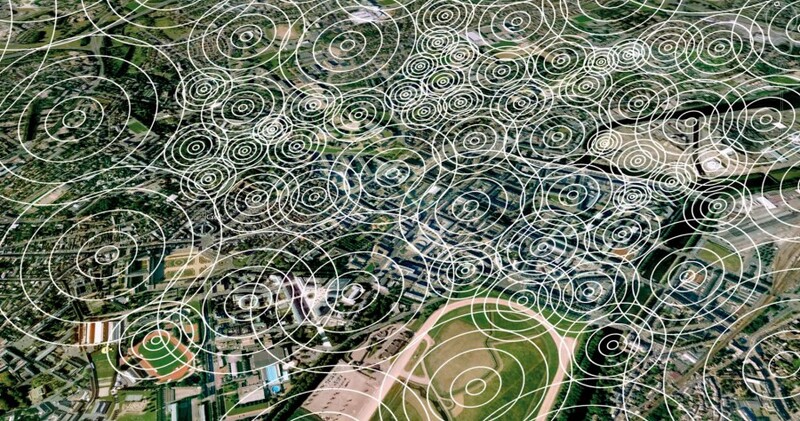 An invisible architecture made of listening zones, overlaps with the topologie of the city. Sounds are triggered, modulated all along the walk according to the position of the walker, equipped with a smartphone and a pair of headphones which allows him to generate his own urban mix. After a first version in 2015, Géosonic Mix grew to now recover the entire city of Caen and become a perennial art work that anybody can download at any time on his smartphone. The project proposes a sonic portrait of the city, based on recordings made on the site. Short sound pieces (field recordings, interviews, lectures, fictions) are reinjected in the public space and become the traces of a memory to be reactivated, as open portrait with multiple entries in which past and present, reality and fiction meet. Géosonic Mix Normandie Impressionniste interrogates our relashionship to the territory and experiments a new way of writing the space. Along the drifting, the audio ghosts mix, strike to the sound environnement making us lose our landmarks or put our senses on the lookout. In this meeting point where sounds retained in the machine and sounds coming from the walkers environnement create infinite possibility’s that are to be explored. Copyright © 2015 Julien Poidevin. All rights reserved.